This modern medicine cabinet belongs to the exquisite Xena design series. It features a rectangle shape. This medicine cabinet is designed to be installed as an wall mount medicine cabinet. It is constructed with plywood-veneer. This medicine cabinet comes with a lacquer-paint finish in White color. This Medicine Cabinet features Chrome hardware. High quality premium glass. Wall mount installation hardware included. 24 In. W X 32 In. 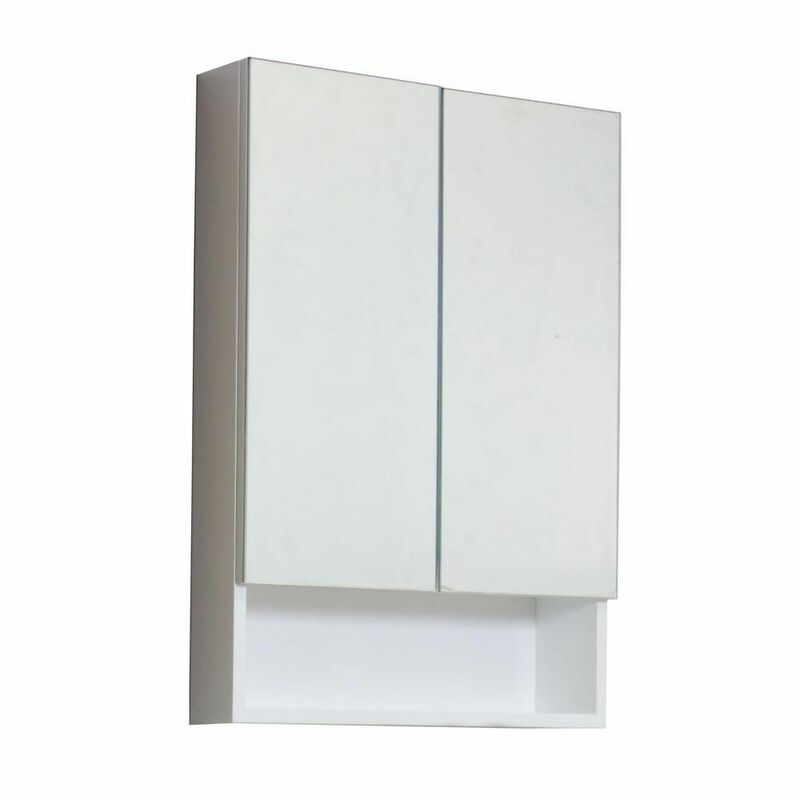 H Modern Plywood-Veneer Medicine Cabinet In White - Chrome This modern medicine cabinet belongs to the exquisite Xena design series. It features a rectangle shape. This medicine cabinet is designed to be installed as an wall mount medicine cabinet. It is constructed with plywood-veneer. This medicine cabinet comes with a lacquer-paint finish in White color.